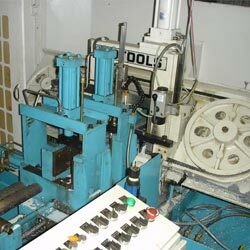 Our first Metal Hose making machine was set up in 1991. We have added numerous machines since then. We are continuously keeping up with latest technology available to manufacture best quality products. Our Hose and Tubing divisions have latest machinery with very large production capacity respectively. All our Units are well equipped with relevant Test & Measurement Equipments- which are calibrated regularly.